View More In Faucet Parts. The PULSE shower spas pressure balanced rough-in valve utilizes a pressure balancing mixing cartridge, hot limit safety stop, and plaster guard. 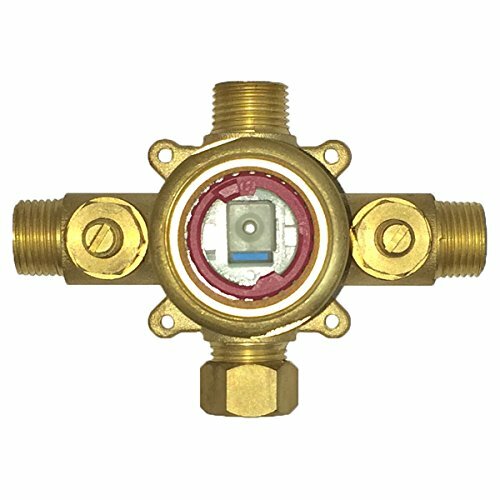 This valve utilizes a pressure balancing mixing cartridge to ensure constant water temperature in response to changes in water pressure. The valve also comes equipped with an adjustable hot limit safety stop to reduce risk of scalding, a plaster guard to be used as a guide during installation, and a tub spout cap. If you have any questions about this product by Pulse, contact us by completing and submitting the form below. If you are looking for a specif part number, please include it with your message.